Transportation Secretary Elaine Chao defended in a Senate hearing Wednesday the Federal Aviation Administration’s decision to ground the Boeing 737 Max only after dozens of other regulators around the world already had, and the agency’s delegation of new aircraft certification work to manufacturers. Chao said the FAA had “no factual basis” to ground the 737 Max until March 13, three days after a Boeing 737 Max crashed in Ethiopia and despite a wave of countries and airlines outside the U.S. that had halted flights in the days before. 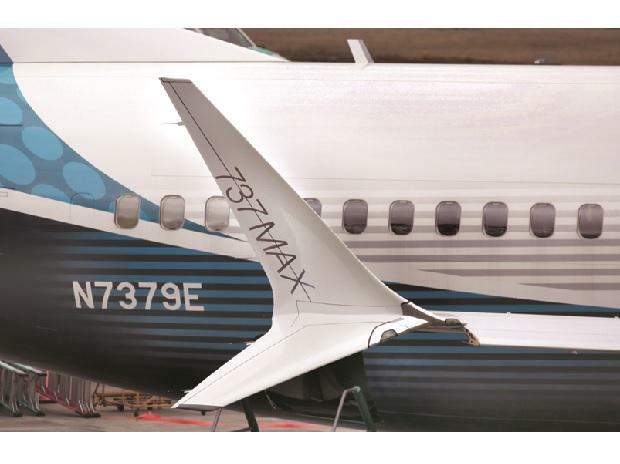 The tipping point was satellite data and physical evidence recovered from the scene that showed similarities to the October crash of a 737 Max operated by Lion Air that ultimately convinced the FAA to follow their global counterparts. “Based on solid evidence relatively that seemed to indicate some similarity, the FAA decided and made the decision to ground,” Chao said at the hearing before a Senate appropriations panel reviewing the Transportation Department’s fiscal year 2020 budget request. Lawmakers pressed Chao on several aviation safety issues now under a microscope following the twin crashes of Boeing’s latest 737 airliner. Among them was the FAA’s longstanding practice to delegate safety approvals for new jets to employees of the companies that manufacture them. Chao said the arrangement is necessary because FAA needs the manufacturers’ expertise and said the process is subject to FAA oversight. The Transportation Department’s inspector general is investigating the FAA’s certification of the 737 Max, which Chao requested last week. Chao also announced this week that she is forming a new commission to review the FAA’s certification process for new aircraft. Senator Jack Reed of Rhode Island asked Chao if she planned to require Boeing to retrofit all 737 Max jets with additional safety features that the company has sold as optional extras. Democratic Senator Dianne Feinstein of California said she’s looking at preparing a bill to require that key safety equipment be included in the basic sale price of planes. In a statement, Boeing said the 737 Max’s standard cockpit flight display has everything needed to operate the jet safely. However, the company said it will no longer charge customers for a display of data taken from the plane’s so-called angle-of-attack sensors, which measure the pitch of the nose against oncoming wind. The sensor activates the jet’s anti-stall countermeasure that investigators are now scrutinizing. A light alerting pilots when those sensors have different readings will also be included in all 737 Max’s as standard equipment, the company said. Boeing intends to present U.S. regulators with the final documents for certification of a software fix later this week, the last step in a process the company outlined for the Federal Aviation Administration on Jan. 21.